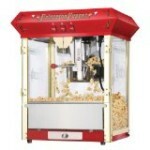 We now have a Commercial GoldMedal Popcorn Machine FUNPOP! 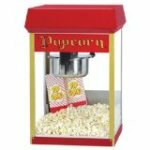 The Fun Pop has a 8oz kettle that will pop enough at one time to entertain large or small crowds. This machine rents for $45.00. 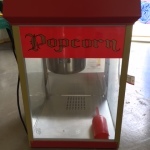 We also have a popcorn machine from Princeton Popper available for rent. It’s also $45. 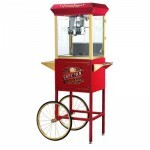 This popcorn machine is available with or without the cart for the same price. The princeton popper has a 8oz kettle that will pop enough at one time to entertain large or small crowds. We have popcorn and supplies!